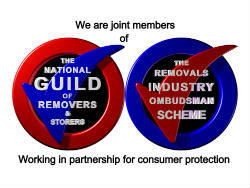 That personable service with open communication is at the heart of the Pers Removals ethos. We take pride in our ability to ensure seamless, stress-free removal and storage services to commercial and residential customers across Walthamstow, and indeed London. We provide a focused and diligent service – one that you deserve. Our removal and storage professionals are committed to assisting you in your property transition any way that we can – our flexible solutions cater to even the most exacting of demands. We’re confident that we can provide unrivalled storage and removals across Walthamstow, and indeed London. Our customer commitment is absolute. We can actively manage the removal, packing and storage of personal and commercial belongings, ensuring that your property transition is completed without issue or delay. Offering a tailored approach, our removals team is always punctual and professional, recognising that customer’s needs are paramount throughout the whole process. Here at Pers Removals we provide some of the most competitive quotations of any Walthamstow removal company. 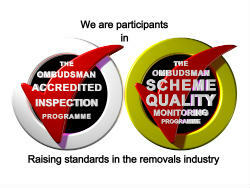 This means that you’ll receive a stand-out removal and storage business at a stand-out price. There are many advantages to choosing our local service. Not only will you employ a business with comprehensive knowledge of the Walthamstow area, but that personable touch is assured. Our local knowledge is invaluable on the day you come to move, or when you need to store precious items. From swift transportation of your belongings to understanding of the best place to park a lorry, we make the removal experience as easy and stress-free as possible. Should you wish to learn more about our storage or removal services, or to discuss any personal requirements, contact us today.